Truth be told, I spent the first few weeks not wanting to run at all. In fact, I didn’t want to do anything: spinning, yoga, or swimming. I was more concerned about trying to get strong enough to get back to work and not losing any more weight (I dropped close to 10 pounds thanks to my liquid diet). Working out was not high on my to-do list. My ready-test was simple. Over the past month, whenever I thought I might be able to run, I did the test: step down from the curb onto the road. As long as that continued to hurt, I knew I wasn’t ready. As time passed, I longed to hit the roads (with my feet, not my jaw). Mentally, I was ready; physically, I needed more time. And I was. I finished a glorious three kilometres. Since then, I have run 2-5k distances and I will continue to build distance and speed, with a few races in mind. Slowly, I am on the road to recovery and back to chasing my dreams. Six weeks of healing and I’m back on the roads. So great to see you back running! 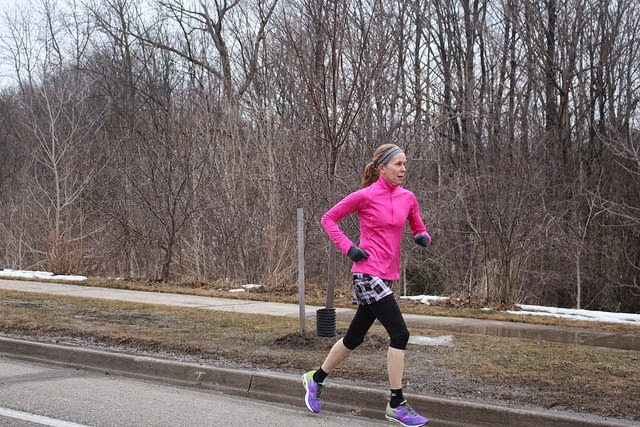 Your'e right February was a perfect month to not run though. Blech. All the best with your return to the pavement! Yay! I'm glad that you healed well and was able to get back to what you love doing.